New York, October 12th. The innovating leader in Digital Procurement is welcoming a new talent to its membership. David Natoff, will join the SynerTrade North American team as Special Advisor through a partnership with David’s advisory company, Blue Sphere Consulting. Things are moving really fast for SynerTrade in North America. After opening offices in New York, San Diego, Minneapolis, Montreal and Cincinnati; SynerTrade is happy to onboard David Natoff as its Special Advisor. With more than 20 years of experience in Procurement, with the last 11 at Google where he set up and led their Strategic Sourcing team and more recently added the full procure to pay team to his remit, David Natoff is the perfect match for SynerTrade. During his tenure at Google he was able to demonstrate a strong aptitude and ability in both Digital Procurement and leadership. His passion for automation is widely known and David is super excited to be joining the SynerTrade team in partnership with his advisory practise, Blue Sphere Consulting giving him a wider audience to share his passion for digital procurement. Google has been a client and advocate of SynerTrade since 2009. Over the years working closely with the SynerTrade team, David not only loved the suite of procurement tools, but the customer service, the team, and sees the bright future for SynerTrade to come. SynerTrade continues to have an outstanding relationship with Google. His choice to join SynerTrade over other procurement providers was simple and aligns with how he wants to be an active key player in Digital Procurement as he continues to help develop tomorrow’s Procurement innovations. As he has first-hand experience using the capabilities of SynerTrade’s solutions, David is looking forward to preaching SynerTrade’s mission and is planning to join the North American team at a number of events to show how SynerTrade’s offering attracted him to join the team. 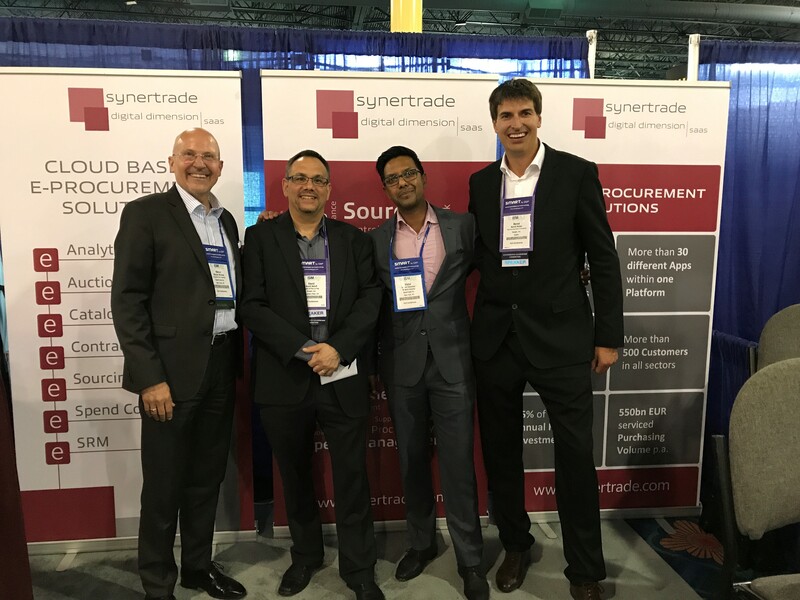 I can’t wait to begin to actively work with SynerTrade, and particularly in North America where we are expecting a strong demand in the Digital Procurement market. Together with SynerTrade, we will build the future of Digital Procurement and I am very excited to take part in this new adventure. Based on David’s experience and thought leadership earned from his long career in Purchasing Management, he will be involved in advising and strongly influencing SynerTrade’s roadmap in the next innovations, such as Bots and BI-Intelligence. We are very enthusiastic about working with David. He’s a brilliant man and a visionary. His overall knowledge in Procurement will be really appreciated. He is officially a key asset for the development of SynerTrade in North America and more generally for SynerTrade globally.